1. 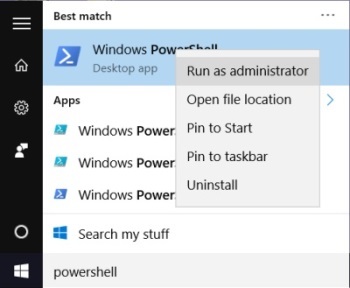 In the Start Menu Search box type: PowerShell. 2. Right-click on PowerShell and Click Run as adminstrator. 4. type exit to close the PowerShell. You have now removed OneNote from your computer, but be aware, Microsoft will take every opportunity to reinstall it if you're not alert. For example if you install one of Microsoft's office products, OneNote will be installed along with it.